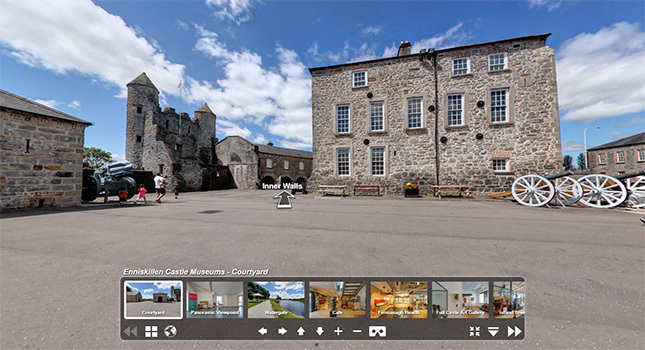 Enniskillen Castle Museums, one of the top places to see in Co Fermanagh, have something for all the family: movies, music, interactives and quizzes, and stories to make everyone think. 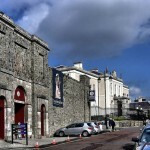 Fermanagh County Museum, housed within the castle, is open all year round and attracts approximately 20,000 visitors annually. Its award winning exhibitions cover the prehistory and natural history of Fermanagh, the county’s traditional rural life, local crafts and the celebrated pottery at Belleek. 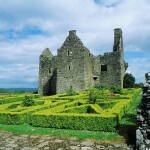 Additional displays trace the long and complex history of this building from its original use as a stronghold of the local Gaelic Maguire chieftains to its later use as a Plantation castle and military barracks. The Inniskillings Museum tells the story of the town of Enniskillen’s two regiments, The Royal Inniskilling Fusiliers and the 5th Royal Inniskilling Dragoon Guards. 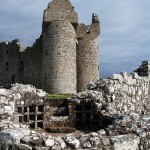 It is housed in the Castle Keep as well as the old cavalry stables. It has displays which tell the story of the regiments from their formation in 1689 up to modern times. These two museums in Northern Ireland reflect Fermanagh’s rich history, culture and environment. Definitely worth a visit. 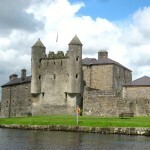 Enniskillen Castle is a popular venue on European Heritage Open Days when 100’s of historic properties open for free across Northern Ireland over a weekend in September. In 2016, major new galleries will open interpreting the county’s rich history as the Kingdom of Lough Erne, with its crannogs, castles and early Christian stone sculptures. Imaginative displays will celebrate local craftmanship from Belleek Pottery, to the Full-Circle Art Gallery and the rural traditions of the Fermanagh hearth. Enniskillen Castle Museums relaunches in 2016 after major refurbishment and will be the main introduction and gateway attraction of the region. I want to purchase “The MAGUIRES of Fermanagh and the Town of ENNISKILLEN” in DVD format playable in the USA. Please include shipping cost to California. We don’t supply those DVD’s here. We’re photobloggers who travel around Ireland with 360° cameras. 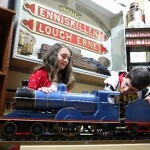 Please contact Enniskillen Castle Museums directly. Their contact details will be at the top of this page.